Mediamax has interviewed EU Ambassador to Armenia Piotr Switalski over the recent progress in the EU-Armenia relations and the future of the developing partnership. Appreciating the Armenian authorities’ political will and the EU member states’ interest to ratify the Comprehensive and Enhanced Partnership Agreement (PACE), the diplomat at the same time expressd his concerns over the increasing use of hate speech and intolerance in the Armenian media, especially the social networks. Mr Ambassador, these days there are a lot of publications in the press and expert opinions about the process of CEPA ratification. Some people say that the upcoming elections to the European Parliament might somehow affect the process. Can you give your opinion and assessment of the ratification process? From our perspective, the ratification of CEPA is proceeding quite normal. So far, almost one third of the EU Member States have ratified the agreement, and in the other countries the ratification process is quite advanced, so we consider it as a normal pace. We could speak about the ratification with other countries, who concluded even more ambitious agreements with the European Union (Georgia, Moldova). Normally it takes 2-2.5 years to ratify an agreement by all the Member States. What we have now is quite a normal picture. What is more important, there are no political signals from any of the Member States indicating to possible political and other complications. The elections to European Parliament, scheduled to be held this year, are a very important event, but let me remind that the European Parliament had already given its consent and it is overwhelming - more than 500 positive votes and only 50 negatives. There is no requirement for any action of the European Parliament on CEPA. Therefore, we should proceed with the implementation, because 80 percent of the provisions of CEPA are already in force. Democracy, freedom of speech and media, other fundamental rights are the core of CEPA. There is an opinion now that Armenia is seeing a rise of intolerance and hate speech, especially in social networks, and many people don’t want to accept opinions that aren’t in line with their own. Do you think it is a problem and the government should address it? The rise of hate speech is something which worries me very much. Why? Hate speech is a common scorch, a common evil. Hate speech is very detrimental to political culture. It kills democracy. In the countries that now embark on a new chapter of their history in terms of building political culture and democratic institutions especially, it is very important that the manifestations of hate speech are addressed, managed, prevented and combated. We are talking a day after the death of the Mayor of Gdansk, Pawel Adamowicz, who was a friend of Armenia and visited Armenia several times. He is a victim of hate. His death is another testimony to the fact that violent speech can lead to political violence. His death proves that hate speech should be addressed at the very early stage, because verbal hate can very easily transcend into physical violence. We organized a special event in Armenia to talk about hate speech, in particular on social media. We had a very good seminar and we are really determined to continue our discussion. The European Union concluded a code of conduct with the major social networks concerning combating the hate speech, and I invite all people to read this code of conduct, which committed all platforms of social media to work together to prevent hate speech on their networks. I invite the Armenian government to review the existing legislation to see whether it can be improved. 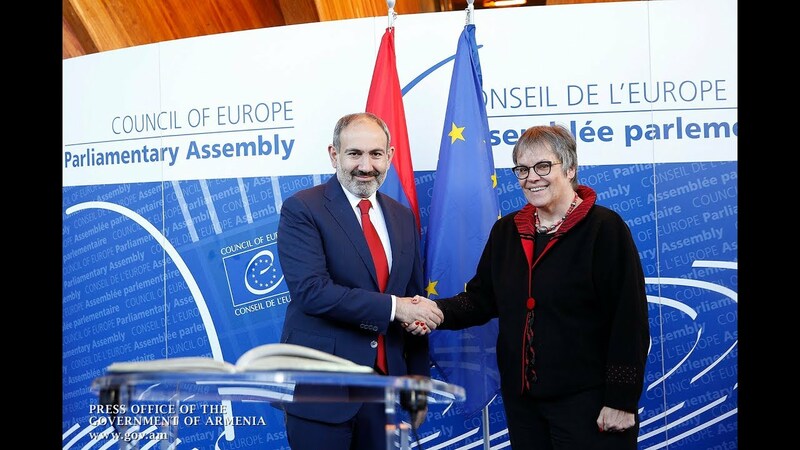 Some European countries have very advanced system of norms against hate speech, and we are very committed to help the Armenian government and other stakeholders – politicians, civil society, and journalists – to combat hate speech. At the same time, Armenia is still very far from the most worrying manifestations of hate speech than in other countries. The electoral debates in Armenia were very diplomatic and civilized as compared with the debates in other countries, including some members of the EU, where the negative emotions have already become very pervasive in political discourse. Here in Armenia my suggestion is to act before it is too late.